Classical music industry press releases rarely rise above self-serving banalities, and the few that arrive in my inbox are usually deleted without being opened. But one that arrived recently from Martyn Warren - director of the estimable Voces choral group - caught my attention so effectively that I am reproducing it below. Is this the precursor of a new art form, the anti-press release? I was contacted last week by a BBC researcher from Desert Island Discs. And no, I didn't seriously think that they wanted me to choose my favourite eight records... Apparently Sister Wendy Beckett is on the programme on Sunday 16 December at 11.15am, and has chosen two tracks from the Voces' Gregorian Chant CD. 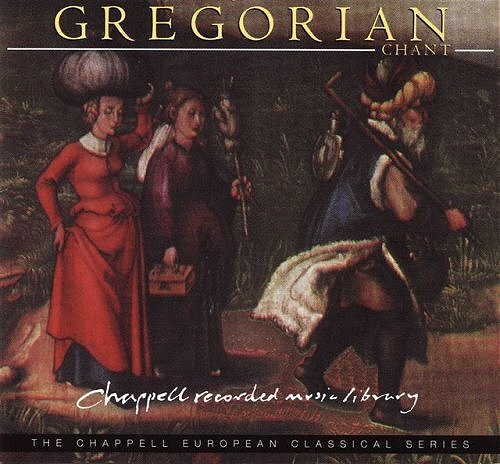 The CD was recorded with eight men in the Mary Harris Chapel at Exeter University - the washy acoustic is terrible for polyphony but fine for chant - in the summer of 1994. Tony Yates was the cantor. I didn't really want to do a chant recording - I wanted to record 16th century polyphony and I did not consider myself a chant specialist - but Chappell Recorded Music Library offered a decent fee which I could use to record what became our second CD, of pre-Reformation English polyphony (Taverner, Ludford, Sheppard). The chant CD later became part of the Sunday Times Music Collection, which is how Sister Wendy came across it. My mother-in-law also came across it, and bought a copy for me not noticing my name on the cover. (She never was one for fine detail - she later sent me a tape which she thought was 'Gregorian Voices' but which turned out to be 'Georgian Voices' - folk music from Stalin's homeland of the kind that makes you want to slit your throat after 3 tracks). Sister Wendy Becket is a nun at the Carmelite Monastery, Quiddenham, near where I write this post. The monastery and Handel's music for the Carmelite Vespers features in Dialogue of the Carmelites. Ye gods and little fishes!! The biggest compliment I can pay Martyn Warren is that by the time I reached the end, I had truly forgotten that it is a press release, to all of which I normally react as Martyn does to Georgian folk music. Thanks so much for sharing this, Bob. Maybe the "anti press release" can be ushered in alongside the "anti artist's biography" - the sort that, when you reach that bit in the programme notes, doesn't make you doubt your own interest in an artist? Bob sent me the link to this post – I am enjoying your conversation, chaps. I have to confess that I have not used this approach when I am actually trying to persuade people to come to a concert, but maybe I should. As an audience member or record buyer I would be rather dismayed if I read disparaging remarks about the composer and/or his works in the programme or cover notes: what’s the point of performing music if you are not passionate about it, and if you do find yourself in that position, at least don’t spoil the audience’s enjoyment by voicing your feelings.